Melbana Energy Limited (ASX:MAY) — an ASX-listed oil and gas company exploring in Australia, NZ and Cuba — today informed the market that it has awarded Polarcus with the contract to undertake the Beehive 3D Seismic Survey over the Beehive Prospect in Australia’s Bonaparte Gulf region. 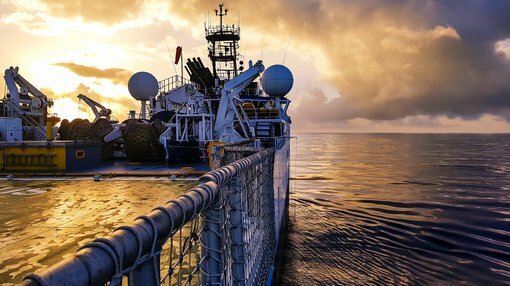 The Beehive 3D Seismic Survey is being operated by Australian energy company Santos pursuant to an Operations Services Agreement and is fully funded by French major Total and Santos. 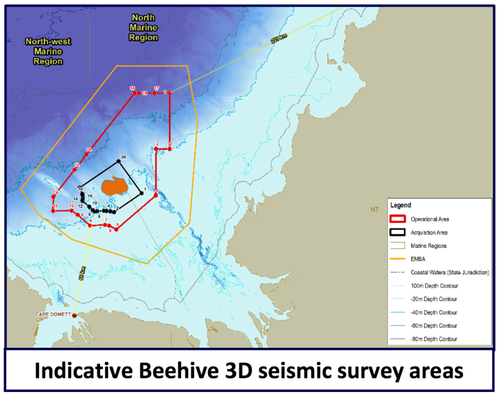 The Giant Beehive Prospect is one of the largest undrilled hydrocarbon structures in Australia. Currently, the companies are working through a process of de-risking the prospect, as well as determining the ideal location for the Beehive-1 exploration well. It is expected the 3D survey will commence in July and be completed by the end of August 2018. It will be undertaken via typical methods and procedures used in the past for similar projects in Australian waters. The survey area is ~600km2 with provision for a broader surrounding area to allow for vessels to navigate, as well as the testing of equipment. The operational area is in the Joseph Bonaparte Gulf, approximately 225km west-southwest from Darwin. If either Total and/or Santos exercises options to drill, Melbana will retain 20% and is fully carried for the first exploration well drilled in WA-488-P. However, MAY remains a speculative play and there is much work to be done, so investors should seek professional financial advice if considering this stock for their portfolio. Total and Santos have an option (exercisable together or individually) to acquire a direct 80% participating interest in the permit in return for fully funding the costs of all activities until completion of the first well in the WA-488-P permit. In the event of a commercial discovery, Melbana will repay carried funding from its share of cash flow from the Beehive field, however will have no repayment obligations for such carried funding in the event there is no commercial discovery.